As you all know, Benefit's first flagship store in the philippines is finally opening its doors on December 15, 2011 at Greenbelt 5 (where Jurlique used to be). 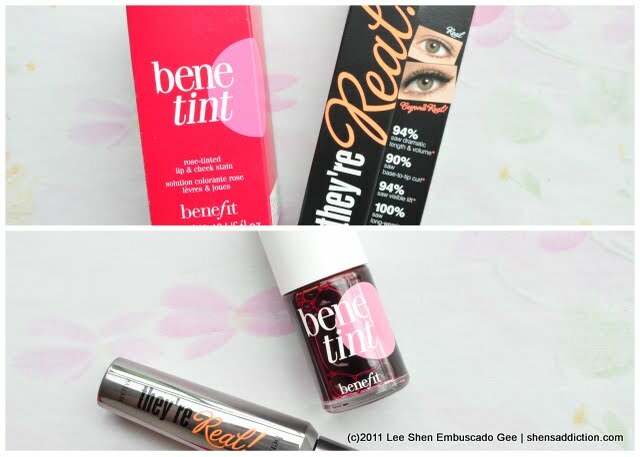 As an ode to this funky cool cosmetic brand, here's a look I made using their very popular Benefit Benetint and their latest mascara, They're Real. Don't you just love how Benefit names their products? I did a very simple look. When I went to Boracay, I can't believe I survived Boracay with only a few makeup in my bag. One of which is Benetint! It's by far the only product that mimics my natural flush. I can't believe I've found it already! To give you an idea of my inspiration, here's my au naturelle look while strolling D'mall! At first, I didn't know what's the hype is all about Benetint. Now I understand what makes different from other lip and cheek tint products out there. 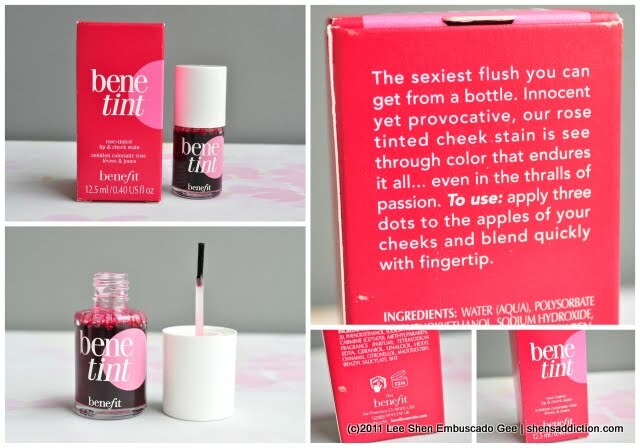 BeneTint really gets absorbed by the skin to give that natural blush look. Given that it's easily absorbed, I was surprise that blending it out wasn't hard to do. And though it dries quickly, I don't get that harsh lines that I usually get with cheaper cheek tint. 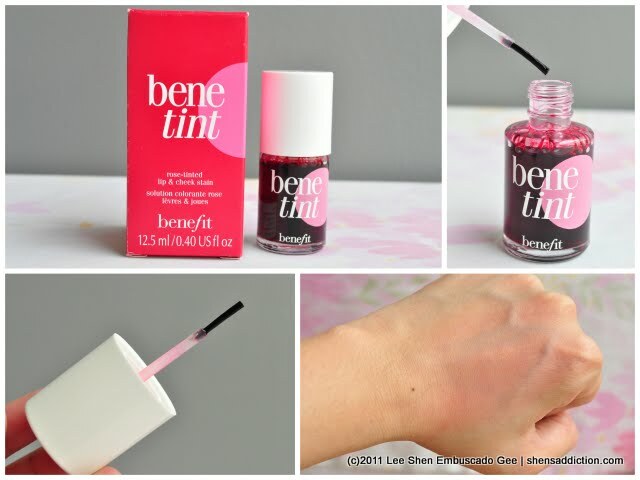 I admit that for someone who is used to brush application, spreading this liquid tint takes a lot of patience practice. But it all pays off in the end. It took me only 3 days and 2 nights to get a hang of using BeneTint to finally get the right amount and proper application my cheeks need! 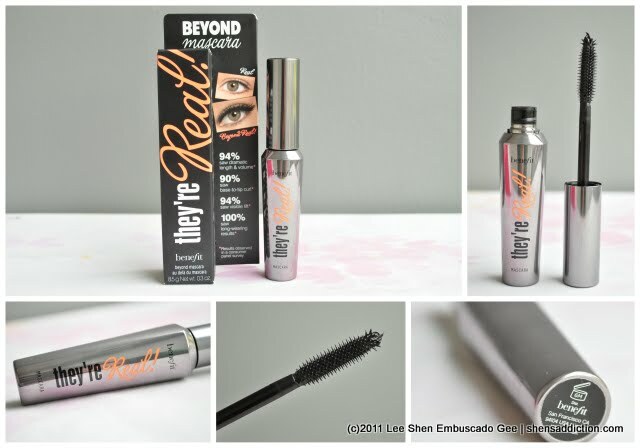 The next product I used is the latest mascara named, They're Real Beyond Mascara, which claims to give dramatic lengths and volume and curls from base to tip. I was excited! Did you get to see their video about Benefit They're Real Mascara? When I was watching this video, I finally made a decish to get this once the Benefit store opens here. But alas! A pretty Chief of Fun girl gave me this as a gift! This reminds me of Givenchy's Phenomen'eyes Mascara but waaaay easier to use and it's going to be available here real soon!! I'm not kidding. What you saw on that video will happen to your own lashes! Although my lashes are already long, it is pretty thin and sparse. Just look at the volume and length it gave me. And oh! I didn't curl my lashes at all! The trick to have that really long effect is that after applying the base, take the tip of the mascara and with that little spike tip, go vertical and apply it from base to tip to separate and wrap more formula on to your lashes. They're Real formula is also a great thing because it gives that glossy patent effect and your lashes won't go into a dull matte after, making your eyes appear more brighter! I used Beauty Pro Palette Sweet and Smokey for this played it simple look. Here's a video of They're Real Mascara I grabbed from their Youtube Channel! and here's the How-to on Benetint! That's it for now, gals! Toodles! I must try that mascara! Your skin is looking so incredible these days!